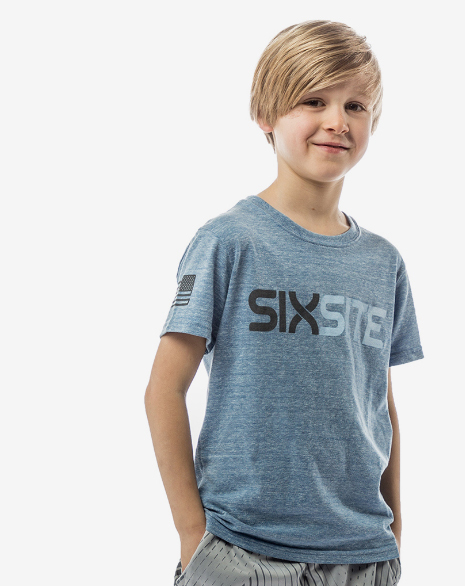 Start them young with the SIXSITE Jr t-shirt. Grey & light blue branding atop a heather blue, tri-blend shirt will give any future outdoor lover the comfort and style they need. "This shirt demands respect on the playground."